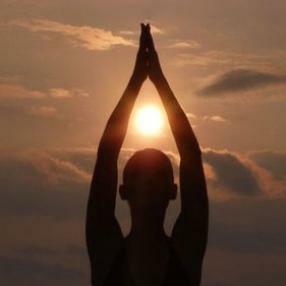 Resurgence Yoga is an holistic approach to yoga, truly bringing yoga to every body. Combining Yin, Vinyasa, Yoga Sports Science and Restorative techniques, Resurgence Yoga focuses on solid alignment and building strength from the ground up. Each Resurgence class incorporates Yin postures to open up connective tissue and joints, Power Vinyasa yoga to build muscle strength and tone, deep stretch cool downs to relax the active body and Restorative yoga with simple guided meditation to develop a deeper connection between each student and their body. 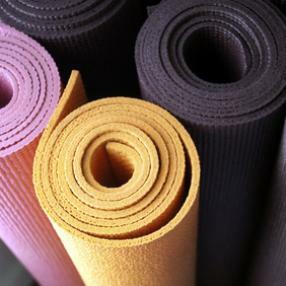 A classically based Pilates mat class to challenge practitioners of all levels. Taught with detail and precision, students will learn advanced techniques and moves, as well as modifications and variations trot safety and to personalize the efforts. Utilizes light dumbbells and other props. 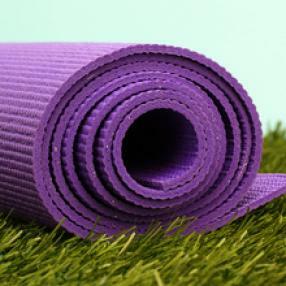 Namaste Warrior Yoga is hybrid 90-minute Power Yoga workout, incorporating the most effective Yogic and functional movement techniques to condition your mind & body for peak performance for living and thriving in our demanding and competitive modern society. The classes are led exclusively by master Yogi Alex Litvak, a former Infantry Marine, Yogi adept and Columbia University Spirituality and Psychology Master's Program student. Alex's vast experience in exercise science and motivation will quickly cue you in to the way of the Yoga Warrior, whether you are a beginner or an intermediate practitioner you are guaranteed to learn how to apply your mind & body to raise your immunity to stress, worry, lethargy, disease, and break through plateaus in body fitness. If you show up regularly, and put in the right effort, you will undoubtedly see changes in your muscle tone, strength, muscular endurance, and improve your ability to stay fiercely focused on your life path is if you were a highly-trained Jedi Master. Alex's personal philosophy is if you practice the Namaste Warrior Yoga you ought to be able to go practice Yoga at any studio in the world and rise to the challenge. Alex often finds regular 60-minute Yoga classes lacking insight(depth), detail and the requisite time to develop real functional strength, hence, it takes even the most dedicated students forever to see results. For this reason, in Alex's class the class is longer, and the standards are higher and the training fiercely challenging. Living in New York City can be described by the mantra "survival of the fittest", and at Namaste Warrior Yoga I teach you to compete not with others, but with yourself, for the sake of raising your mental, spiritual, and physical fitness to your personal best, so whether you are living in the concrete jungle of NYC or vacationing in real jungles of the Amazon you have the body/mind skills to confidently apply yourself and thrive. Alignment focused vinyasa with anatomical knowledge and sound healing technique for meditation. This vinyasa class encourages each student to use the modifications and variations best suited to her or him on any given day. The teacher brings in a strong focus on making healthy alignment choices specific to your body and condition, helping you to build strength and mobility that will transform your practice and your self-awareness. Open to all levels, beginners welcome. Prana Vinyasa™, created by Shiva Rea, Prana Vinyasa Flow Yoga is an energetic, creative, full-spectrum approach to embodying the flow of yoga cultivated by Shiva Rea and the Global Vinyasa Collective of Teachers. Students of all levels are empowered to experience prana - the universal source of breath, life-energy and conscious intelligence - as the navigating source of yoga practice and vital living. Practitioners learn classical and innovative approaches to vinyasa yoga and the state of flow drawn from Krishnamacharya's teachings, Tantra, Ayurveda, Bhakti, Somatics and Shiva's teaching experience from the last fifteen years. Primarily using chairs for support, these classes are appropriate for members of the community who are total beginners, may have compromised mobility or injury, or simply want to discover yoga asana from a chair (great for bringing to the office!). These classes are intended to increase joint mobility and muscular strength, as well as breath/movement synergy. They may include, but will not require, sitting or lying on the floor. Time for meditation will also be integrated. For those of you who think Chair classes are “not for you”: These classes are a GREAT entry point for beginners OF ALL AGES to gain an understanding of the movements and language of yoga, and can be quite vigorous! Open to all levels and all bodies, this class focuses on the Vinyasa practice of linking breath and movement while flowing from one pose to the next. A great space for beginners to learn technique and seasoned practitioners to challenge themselves as we focus on strength & energy combined with balance & mindfulness. 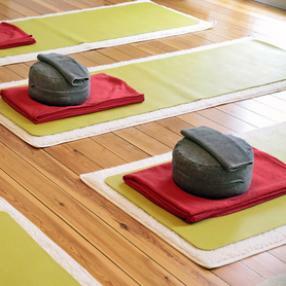 Be prepared for an energetic yet grounding practice that challenges both the mind and body. Appropriate for all athletes, and ANYONE looking to dynamically restore tissues and release tension!